When I came across Hairy Sock jewellery I knew I just had to share it with readers of this blog. Washing lines hanging from one collar point to the other? Inspired! A rear-view mirror brooch complete with Magic Tree...or a necklace with a string of individually crafted tears cascading from crying eyes? I want to step in their maker's mind and see what else is going on in there because this jewellery is so unique! 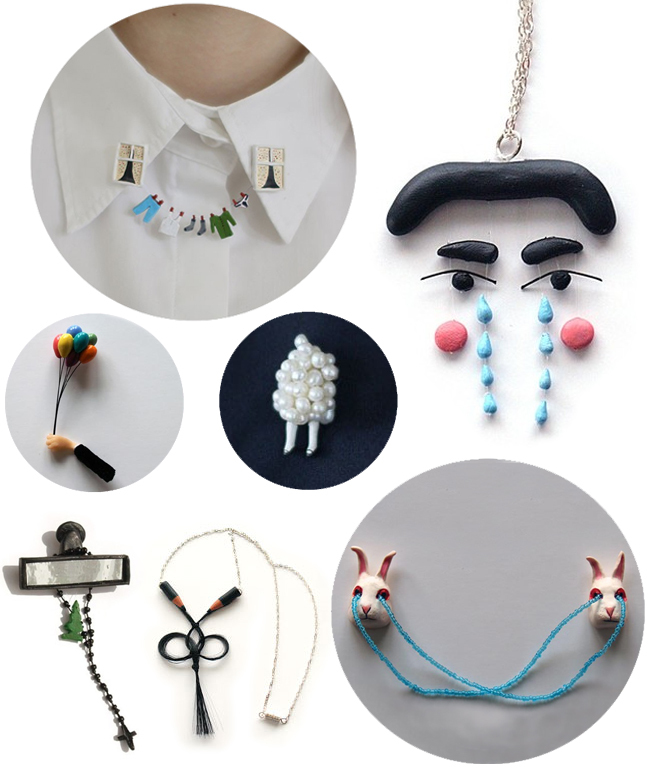 Hairy Sock represents the work of visual artist Ruta Kiskyte who works with a range of mediums from Polymer Clay to pearls, fabric and hair! Be sure to have a browse through the brilliant Hairy Sock website and Etsy shop in particular, they will not disappoint!